Look for at least three berries of the same color lying next to each other and tap on them to harvest the berries. 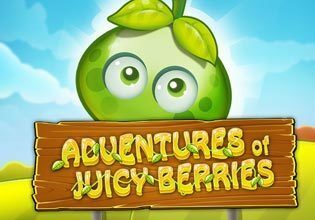 To collect even more berries in one move you should try to get those berries with a bonus modifier.With every berry you collect, you do not only come closer to solving a level, but you also earn a tiny little bit of mighty boosters. These boosters can save your day if you run in trouble getting a level done by adding extra moves or collecting all berries from one color.